The youth participants of diverse backgrounds went through a participatory learning process, interacting and reflecting with one another in accordance to the approach of the Learning To Live Together – Ethics Education program. They prepared critical peace statements that expressed their aspirations for sustainable peace in Sri Lanka by grappling with various issues in Sri Lankan society. As a collective expression of their aspirations for a peaceful Sri Lanka – they made the following declaration to mark the International Day of Peace. We, as a group of young Sri Lankans representing the great diversity of our country, come together as ‘Youth for Peace’ on the 21st of September, 2012 – the International Day of Peace -in Colombo, Sri Lanka to here by declare that we look forward to transforming the culture of conflict in to a culture of caring and unity. We acknowledge that with the end of the recent armed-conflict there is a historical opportunity for us to “Learn To Live Together” by working to address the root causes of the conflict and to internalize the lessons we have learnt through experiencing conflict. We believe the shared values of respect, empathy, responsibility and reconciliation will help us in this effort. Respect – We respect that all Sri Lankans, despite differences in ethnicity, language, religion, or social background, have an equal right to live in a peaceful Sri Lanka with dignity and justice. We respect the uniqueness of each individual and appreciate the diversity that these differences enrich our society with including morals, ethics and law. Empathy – We empathize with all those who have suffered over the loss of loved ones, the loss of their livelihoods, experienced disability or damage and loss of their property, displacement, economic upheaval, and all other forms of violence and injustice. We will look beyond our own self-interest and show unconditional love and care towards all. Responsibility – We, as the generation who grew up through the years of armed-conflict, understand that we must represent the change we hope to see in Sri Lanka. We, therefore, take responsibility to work together to transform Sri Lankan society towards a bright future for all. Reconciliation– We see that many relationships have broken down as results of the conflict and we will actively reach out to all Sri Lankans to rebuild these relationships both between individuals and within our communities. As we struggle to reconcile with the years of conflict we experienced and with the impact it has made on our lives internally, we also want to walk together with others towards national reconciliation. Though in no way is this gesture alone adequate or entirely restorative, we offer our collective apology, with all sincerity in our heart, to those who have suffered. The peace in which we believe in is a human-to-human concept based on the values of respect, empathy, responsibility, and reconciliation in and among each of us in all aspects of life. We will commit ourselves to striving to understand one another, to challenge deep-rooted violence and injustices in society, and to work together to rebuild our nation. Whilst we understand the enormous difficulties and challenges in front of us, as youth, we take on this challenge with energy, creativity and passion. 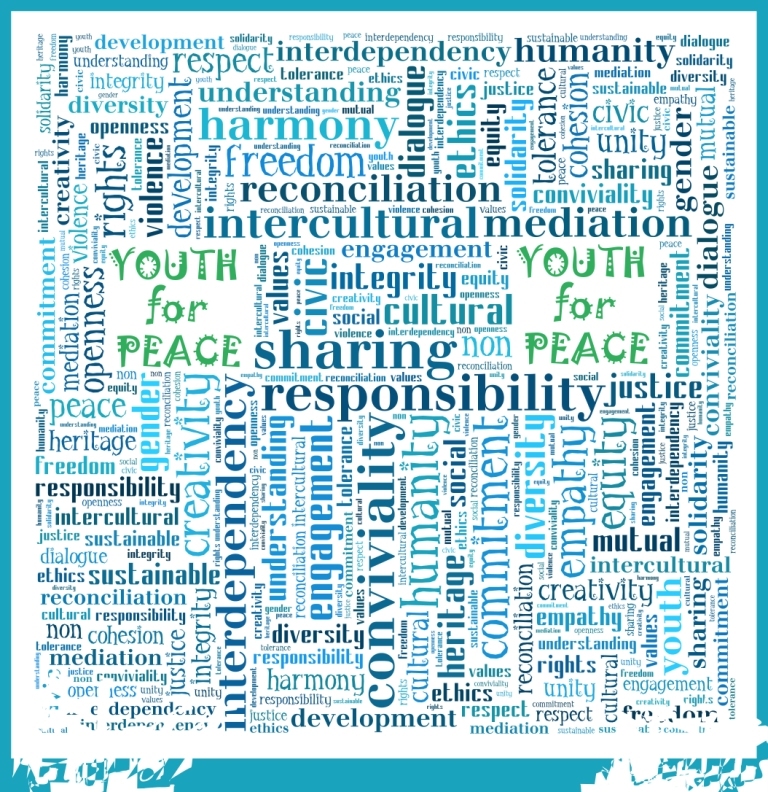 On this the International Day of Peace in expressing our shared commitment for building sustainable peace in Sri Lanka, we invite all young people across the island to make their own commitments.